The year 2000 saw one of Venezuela's best sugarcane harvests in recent memory. High daily temperatures and humidity combined with lower than average rainfall created ideal growing conditions in which the sugar cane flourished. Given this exceptional harvest, DUSA (Destiler'ias Unidas SA) more closely than ever monitored the maturation of the spirits distilled in their ancient copper Pot stills and Kettle Batch stills in the hope of one day being able to proclaim this rum a true vintage.The Master Blender, Tito Cordero, was so pleased with the results that he decided to use the very best Bourbon and Single Malt casks he could find to age this splendid spirit. These casks held the rums until they reached their optimal age. After that, the rum was transferred to Spanish Sherry casks for its final finishing.The result is a superb rum. 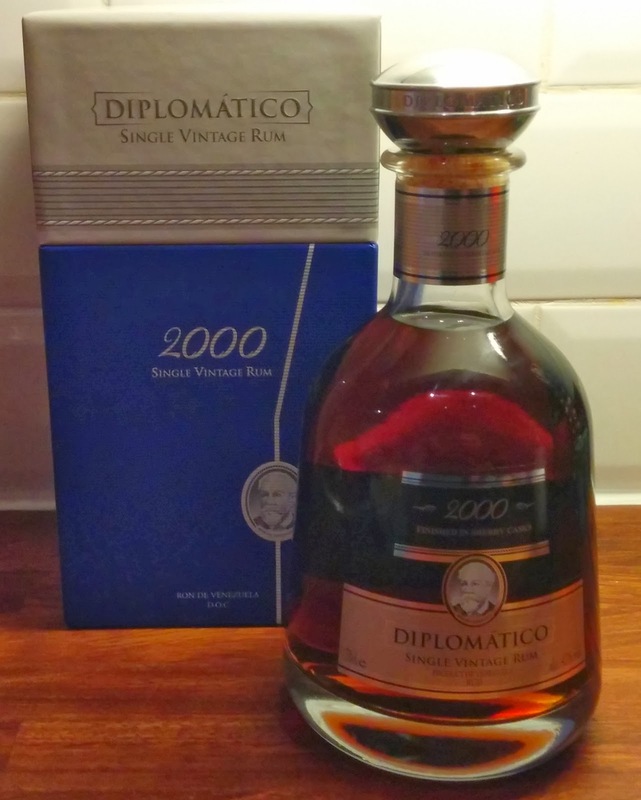 Subtle oaky notes balanced with dried fruit, vanilla, chocolate and light toasty characters evoke in this elegant, complex and intense Diplomatico Single Vintage 2000, which leaves the drinker in no doubt they have tasted a truly fine rum. 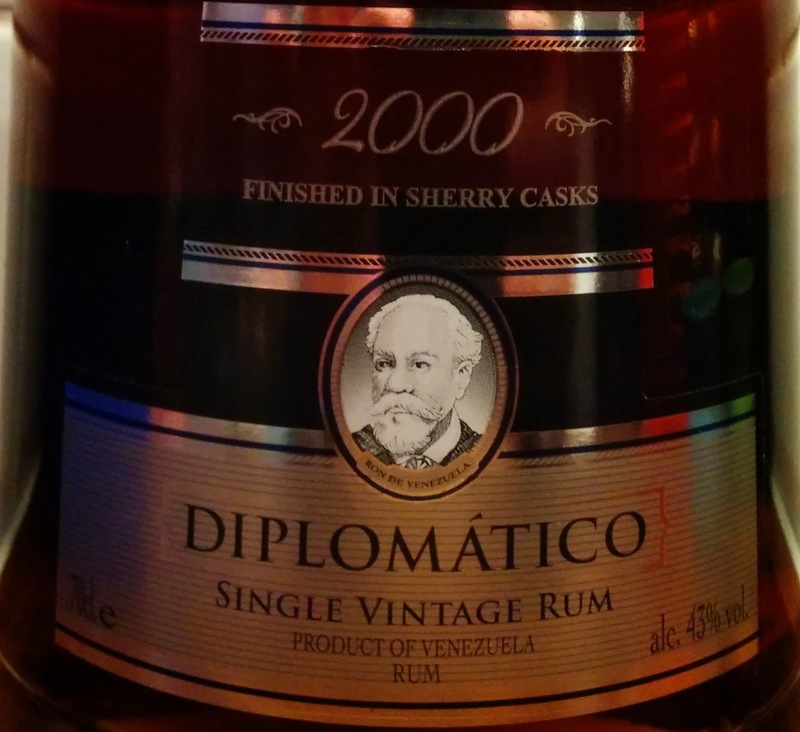 Recommendations for Diplomatico Reserva Exclusiva come up all the time, and rightly so, it's a beautiful rum, but cane aside how does the single vintage differ? You can break this down into 3 sections: the mash, the stills and the barrels. 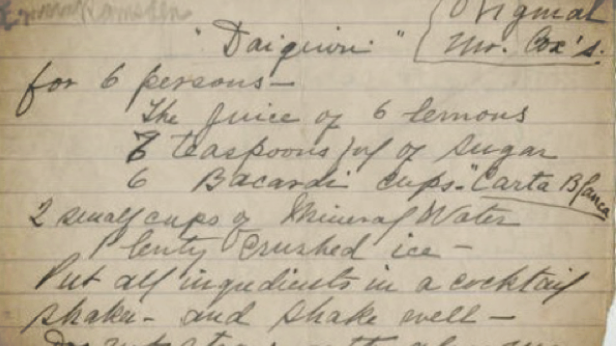 For this rum only sugar cane honey was used, cane honey (or light molasses/treacle depending where you're from) comes from the first heating of the sugar cane juice, you heat it again to get mollasses and a third time to get blackstrap molasses. Once they've got this it's fermented for 48 hours before distillation, a slow fermantation gives plenty of time for all those lovely congeners to develop and give more body and weight to the rum. In making DRE it's a mix of cane honey and molasses that's used, so you can see it's going to be very smooth. Single vintage was produced using pot stills & kettle stills only while Reserva Exclusiva uses pot, kettle and column with around 20% being from column stills. The single vintage was aged in ex bourbon and single malt barrels then "rested" (whatever that means) in Oloroso sherry casks, as this was released late in 2013 I think it's safe to assume the rum is 12 years old while the Reserva Exclusiva is up to 12 years old. Anyways, enough waffling, is it any good? Before tasting I've got to say that the bottle is beautiful, very eye catching. Bottle design and packaging aren't massively important to me but this is really rather lovely. When you've poured a glass and let it warm up a bit a quick swirl shows that the legs are very long-lasting, take a sniff and there's vanilla and milk chocolate, fudge and raisins all coming together in a very, very inviting mix. A sip and this really coats your mouth, very buttery, rich, smooth with vanilla, fudge, good quality milk chocolate all combining beautifully. It's certainly sweet but far from cloying. This just glides down, not a hint of burn just a long, warming feeling, the fudge from the palate has become a caramel with a bit of praline as well. This finish really is a warming hug on a cold day. For a 43% rum to be quite so subtle is very impressive. Overall this takes everything you love about the Reserva Exclusiva then refines and perfects it, gloriously easy drinking and beautifully packaged I'd recommend this to anyone. My first thought on seeing the bottle was that it must be around £100 a bottle, but at £79.99 no, it's not cheap but a Zacapa XO will cost you £100, an El Dorado 21 around £75 but to my mind this beats them both hands down. While I think that there's a different rum for every mood when I sat down and tried to think of a rum I've tasted that's better than this I really can't think of one, it is that good. Caribana Sol - an insulin chaser please barman! Bardinet Rhum Negrita - How bad can it be? 23 things only a Smith & Cross rum drinker will get!